Hopefully this cycle will be kinder to me! Firstly, I’d like to thank everyone at work who raised money for me. Special thanks to Claire, Joe and Bev who arranged the “Dizzytix Day” and raised £800 in cake sales, raffles, auctions and more. Thanks so much to everyone who helped, donated or took part and a huge thank you to the MD Andrew who matched the fundraising bringing the total to almost £1700. I was overwhelmed and emotional when I found out about the day and how generous people had been so a huge thank you. I’ve used a portion of the money to buy my latest wig and will put the rest to good use. 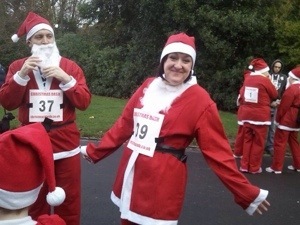 Next, thanks to Alison and her son Aaron who ran The Santa Dash in Wigan. 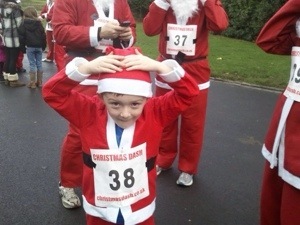 They raised money for Joseph’s Goal and Sarcoma UK. Both charities received £105 which is brilliant. They look fab!! Thirdly, thanks to Matt and the customers at The Bridge Inn in Burtonwood who raised £73 on Halloween. They asked my uncle Kev to nominate a charity and he kindly donated the money to The Clatterbridge Cancer. 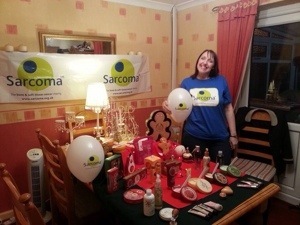 Lastly, a huge thank you to my sister for raising funds for Sarcoma UK by holding a Body Shop at home party. She raised over £210 from us donating 10% equivalent of her sales and holding a successful raffle. She has also donated her hostess gifts so we can raffle these for more money. 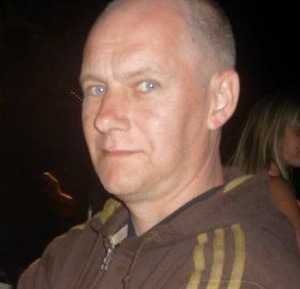 Today we said goodbye to one of the loveliest men around-my cousin Neil. Neil was 44 and passed away unexpectedly last week. Remember to tell those close to you that you love them, to not put off ’til tomorrow what you can do today and to enjoy life.